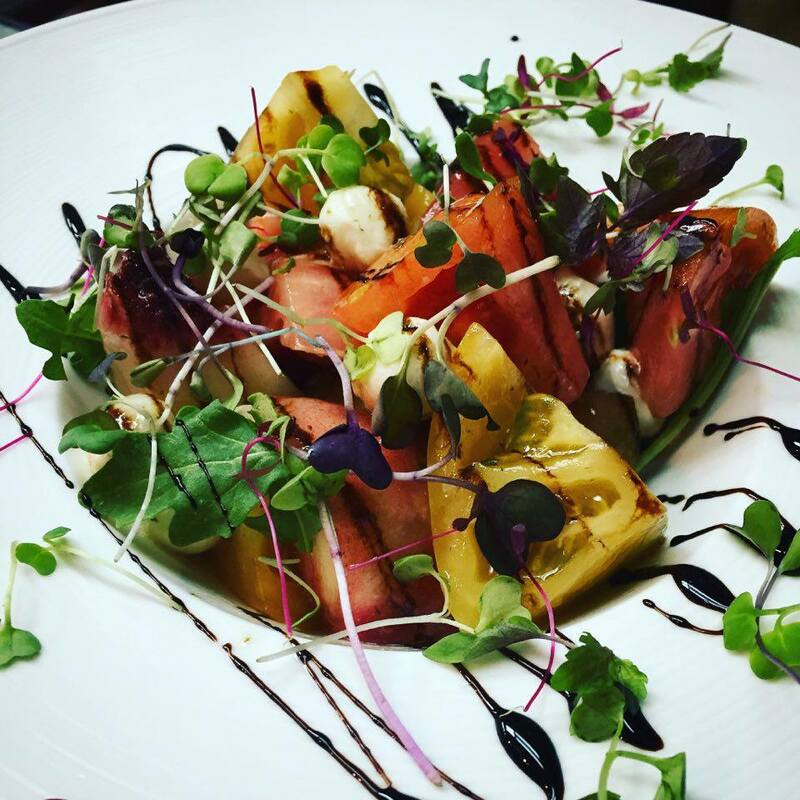 Summer heirloom tomato salad with jersey peaches, pearlini mozzarella, limoncello and herb dressing. This special summer salad is available Thursday, Friday, and Saturday (July 28, 29, and 30) at Laboratorio in the New Montclair Center. Before taking over Laboratorio in late 2014, Chef James DeSisto, a graduate of Johnson and Wales, spent time in the kitchens of Emeril Lagasse, Mitchell Alzholz of the Highlawn Pavillion and Chopped Champion Chef Michael Dilonno of Avenue Bistro in Verona. When he is not in the kitchen DeSisto loves to spend time with wife and daughter trying new foods that celebrate the cultural diversity of New Jersey.